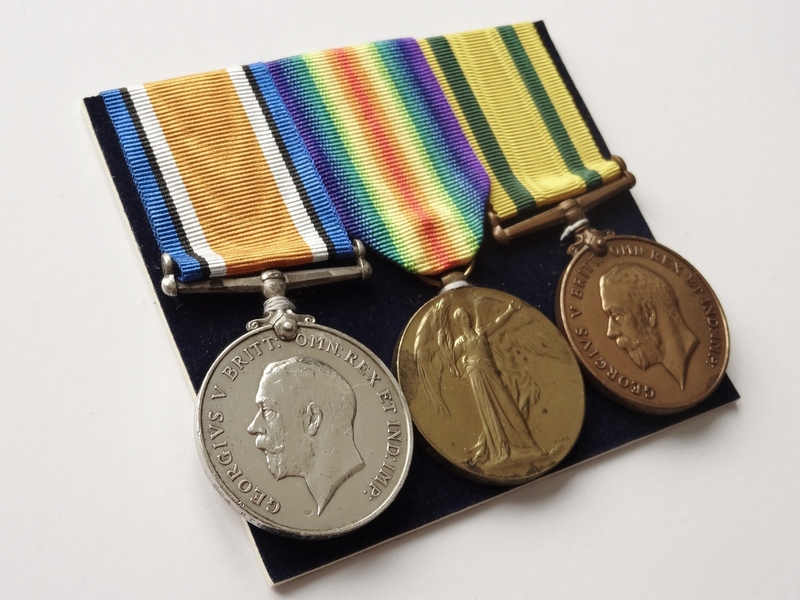 WWI : WWI TERRITORIAL TRIO OF MEDALS TO PTE. 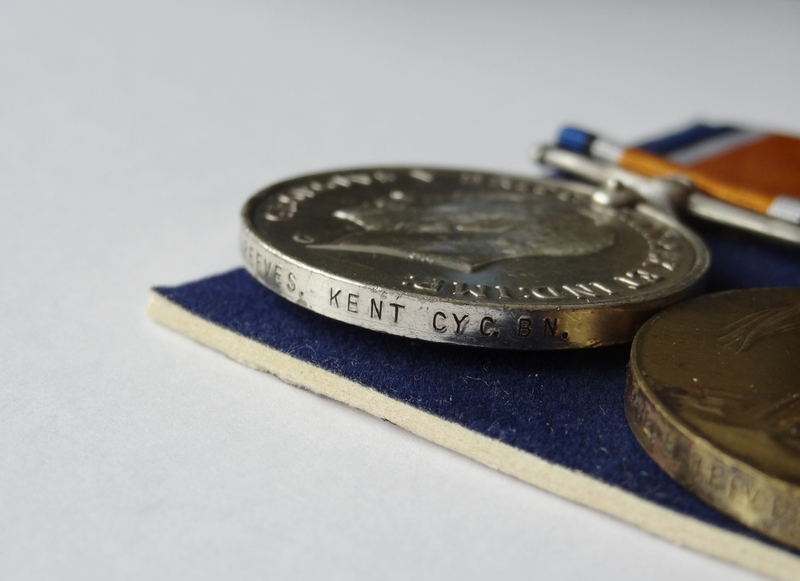 B. REEVES, KENT CYC. BN. 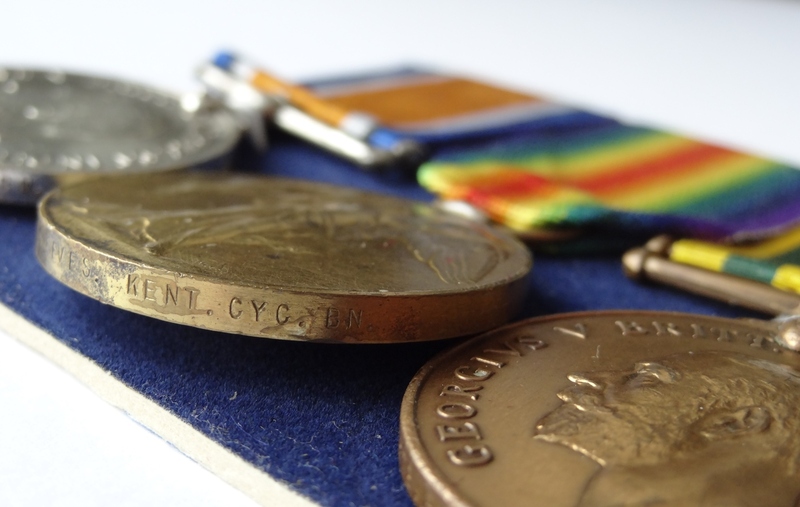 *** RESERVED *** WWI War Medal to 854 Pte. B. Reeves, Kent Cyc. Bn. 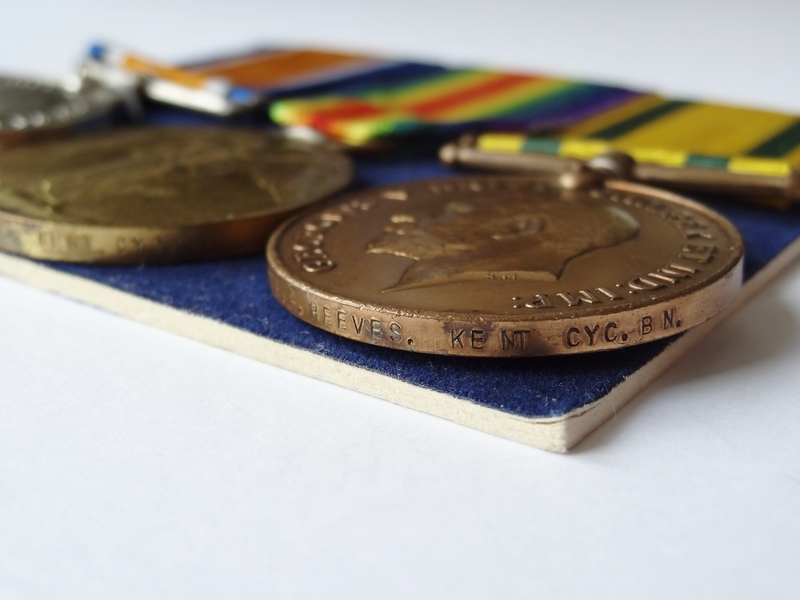 ; WWI Victory Medal to 854 Pte. B. Reeves, Kent Cyc. Bn. 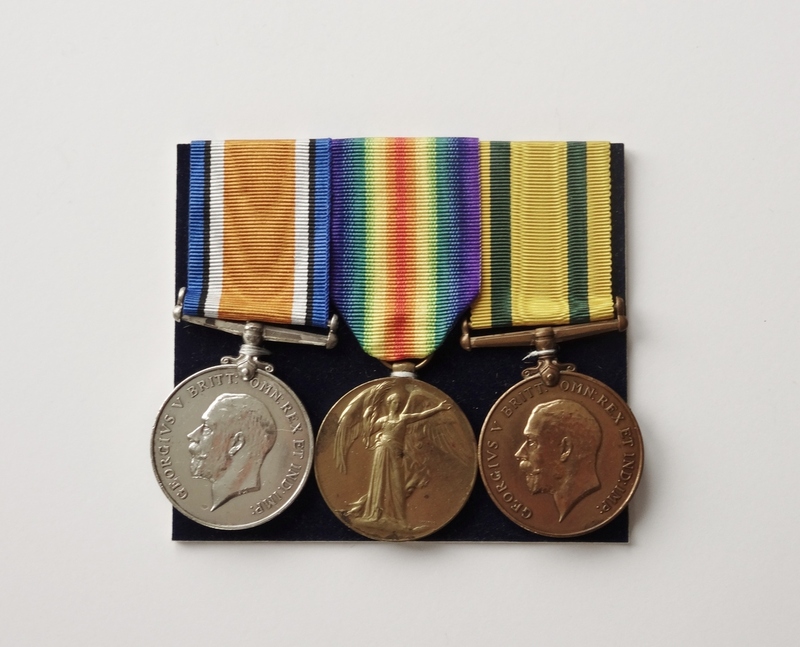 ; WWI Territorial Force War Medal to 854 Pte. B. Reeves, Kent Cyc. Bn. Bernard Reeves' address is recorded as 19 Hale Rd., Maidstone, Kent.